Celebrating the Arts at Friedman Place was a resounding success! Thank you to all of the artists who contributed their art work for display and to everyone who came out to celebrate opening night with us on Tuesday, October 16! If you were unable to make it to opening night, the exhibition continues to be open to the public every day from 9:00am – 6:0opm through October 31, 2018. 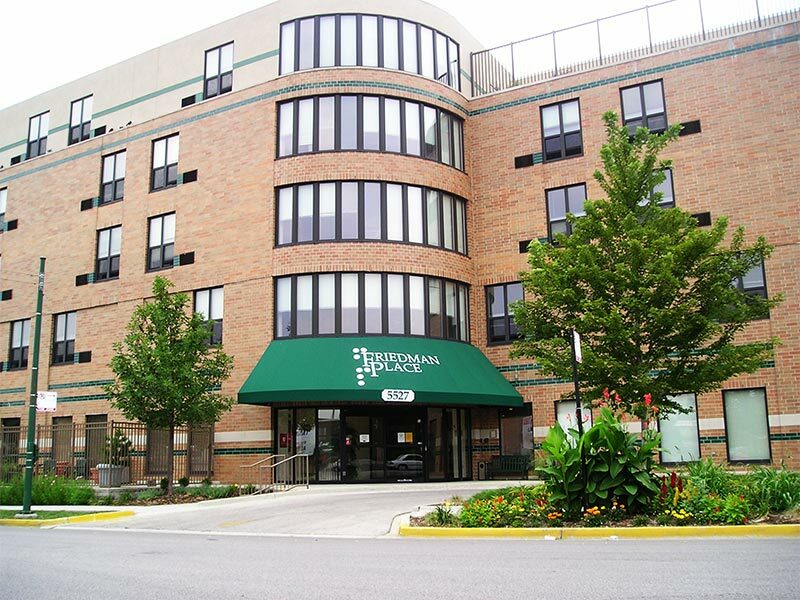 The art work exhibited in Celebrating the Arts at Friedman Place is related to vision, blindness, or disability. 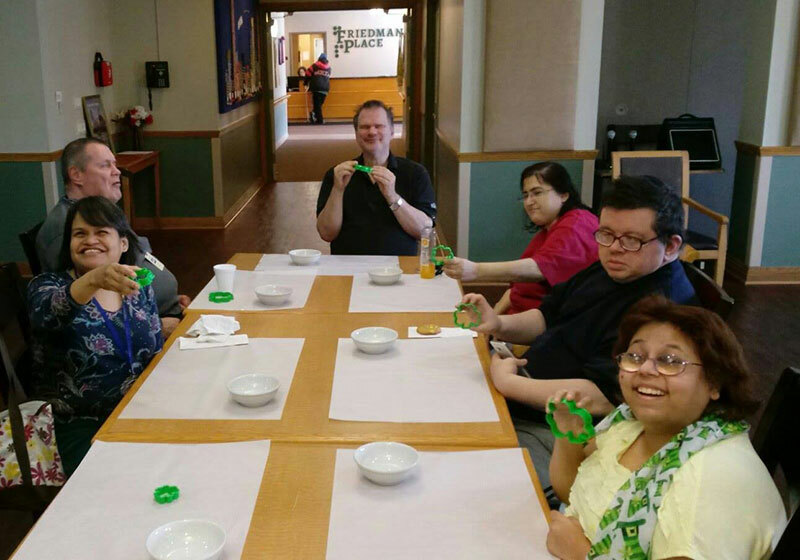 Several of our residents submitted artwork – projects were made in our therapeutic weaving program and crafts put on by our activities department. Some of our residents work on art in their rooms from painting to clay sculpting. 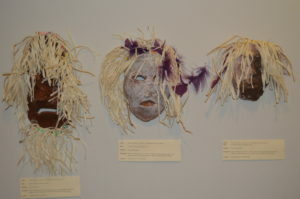 Pictured are three masks that are part of a collection of masks created by a few of our residents for a collective piece titled Friedman Place Family Tribe. Many of the woven pieces displayed will be for sale along with many other pieces at our upcoming weaving sale on Saturday, November 17, 2018! Several artists in the community submitted art for exhibition. Sally Cooper (who is blind) and Robert Pogtetz submitted Babylonian Braille which drives thought about civilization and communication before the alphabet as we know it was formed. 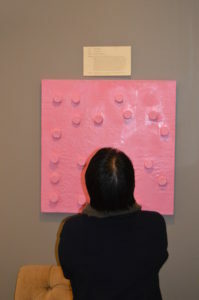 Their art uses tactile items to signify a river, a tribe, etc. rather than works. Artist James E. Williams keeps accessibility to those who are blind or visually impaired in mind when he does his paintings by creating a variety of hills and valleys, smoothness and roughness with the paint. 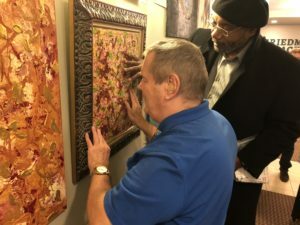 Phrases such as, “Don’t touch the art!” are not in his vocabulary and he invited our residents to interact with his paintings by touching them. Susan Dickman, became fascinated by Braille when she first began studying to become an educator for the visually impaired and explores it by playing around with size and pop art color in her art such as this one titled Never Enough Love. “Braille creates literacy, bonds, and connection with the world” she said. We were also excited to debut our community woven tapestries: My Mind’s Eye Sees What My Regular Eye Cannot. This is a project funded in part by the National Endowment for the Arts. 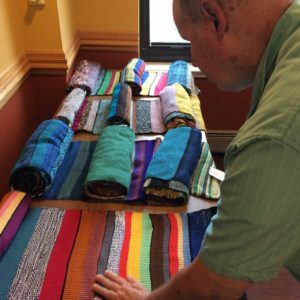 Residents and staff in our therapeutic weaving program teamed up with artist and educator, John Paul Morabito, to collaborate and create woven tapestries that explore color and the experience those who are blind or visually impaired have with it. 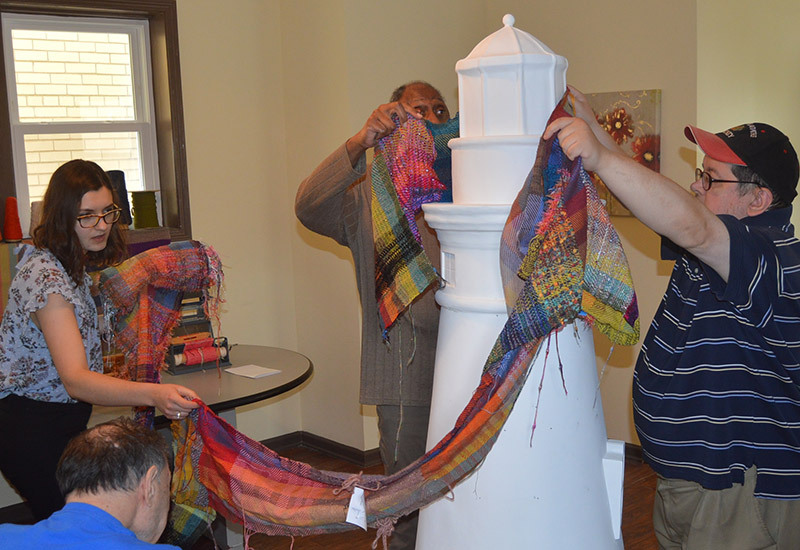 Our lighthouse will be on display at 430 North Michigan Avenue from June 19 - August 11. Rice Krispies – Just for fun!